What is my pet doing while I'm away? Is my home secure while I'm away from home? Do you want to see your baby and talk to him when outside home? Now, with Yooan Security IP Camera. You can watch each room in your house and keep your family safe. 1.This camera doesn't work with 5G wifi, only compatible with 2.4G wifi. 2.The password can't be specific symbol, It should be English letter. 3.You need to allow the app to use the data or wifi of your phone.Thus you can connect it when you not at home. 4.If you can't connect to wifi, you can connect the cable first, then go to the setting page, choose internet setting - change to wifi mode. Then you can connect it to wifi. Two Way Audio: Excellent two way audio quality,you can speak to your baby and listen what your baby saying via yoosee App. Wide Viewing Angle: With remote pan/tilt, 355° horizontal and 120° vertical rotation range makes you see all corner clearly. Night vision: High quality 720P HD live video no matter day and pitch dark. IR-Cut night vision gives you fantastic night experience. 1. Plug in Power and Network Cable to Camera. 2. Download app: Scan QR code on the user manual and install APP. 3. Fire up the App to Create a Account and Sign in. 4. The App Automatically Detects the Cameras in the Same Network for Quick Edit and Live View. 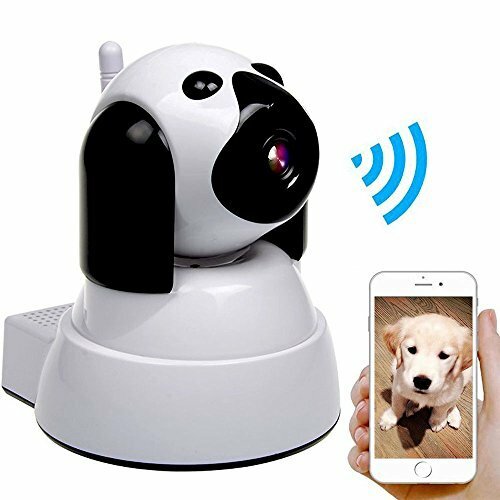 Full HD Video: It will present you a face to face visual effect with 4 times digital zoom, HD 720P, and noise-reduction technology.Built-in powerful IR-LEDs for night vision up to 10-15m,you can see clear in the night. Two Way Audio: With built-in mic and speaker, remotely talk and listen. Talk to your family members, tell your dogs, warn the thief etc. Motion Detect: 24-hour guard.Support real time motion detection.Support micro sd card recording and playback, never miss any important minutes. Wide Viewing Angle: With remote pan/tilt, 355° horizontal and 120° vertical rotation range makes you see all corner clearly.Remote access,no matter how far you are, you can view the wireless security camera via phone/ipad/PC.Support different smart devices access at the same time.